Many of us these days use electric toothbrushes to keep our pearly whites clean and our mouths fresh, including myself. I’ve had a few over the years and have to say that my teeth have never been in better shape, despite a diagnosis of gum disease at an early age. Both my dentist and hygienist love to jokingly say that people like me will put them out of business, and I definitely attribute much of my teeth’s tiptop shape to the move from a manual brush to electric. Yet simply purchasing an electric toothbrush doesn't guarantee great results. You also need to make sure you brush at least twice daily, spend at least two minutes a session brushing and use the proper brushing technique (yes, there's a technique to it). You also need to use a good brush, and not all are created equal. Before you rush out to buy an electric toothbrush, do a little research. First, electric toothbrushes aren't the same as battery-powered toothbrushes, which are similar to manual brushes but use a AA battery to make the bristles vibrate a little, thus providing some extra cleaning. True electric toothbrushes are rechargeable units that plug into the wall. You change the brush heads every three months or so and keep the handle, which receives the charge. The heads comes in different shapes and sizes and work differently. 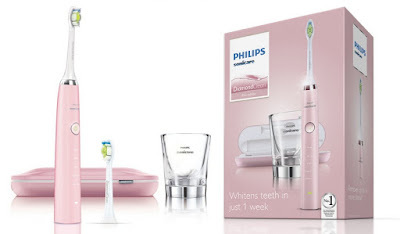 They may oscillate, vibrate, rotate or use sonic technology, which is the case with my new love affair: the Philips Sonicare DiamondClean Sonic electric toothbrush. As well as being ridiculously good-looking, this next level toothbrush is quite the marvel – as are its brush heads. The DiamondClean brush head has been proven to whiten your teeth in just over a week due to its densely packed central stain removal bristles, and your gums will also become healthier in two weeks. Removing up to seven times more plaque along the gum line than a manual toothbrush, it also offers modes including Gum Care, Polish and Sensitive. You reportedly get a month's worth of manual brushing in just two minutes, which just blows my mind! The brush heads are a real step up from my previous ones in so many ways – they are not only super effective and a great size for getting into the nooks and crannies, but also super hygienic and easy to clean. When you’re only swapping them out every few months or so this is super important – the old school brushes were a breeding ground for the kind of nasties you don’t even want to think about! Last but by no means least, I have to give a major shout out to the DiamondClean’s deluxe USB travel case, which doubles as a charger so you stay topped up on the go. You just place your toothbrush in the case and connect to your laptop or plug into a wall socket, again keeping things clean as a whistle. 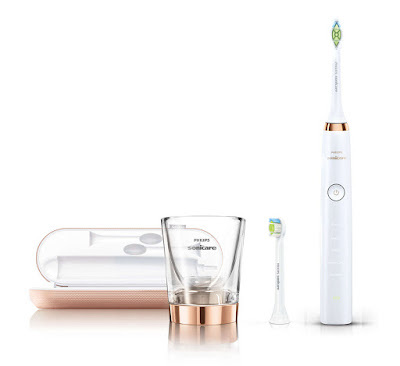 As for charging at home, the sleek charger glass gives you two weeks’ worth of brushing with a single full charge, and doubles as a glass for rinsing after brushing. Too cute. 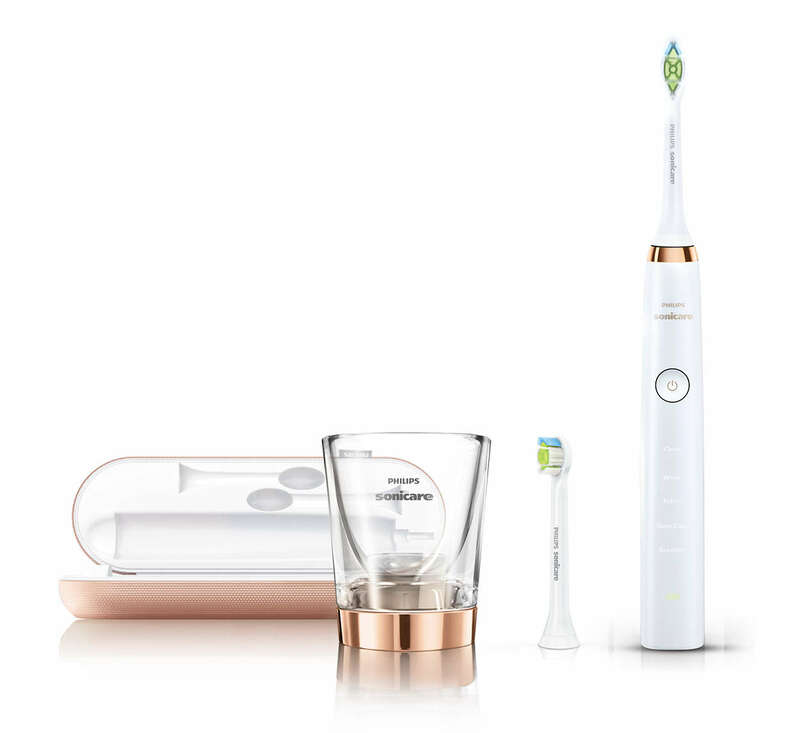 The sonic technology in this beauty is suitable for use with braces, fillings, crowns and veneers, and can even be used in the daily treatment of gum disease, so even though it comes with a price tag of RRP $399 if you can afford it, it’s a fantastic investment in the future of your teeth.